Out filming cutaways for the canal programme. I always say a script is just a guide, nothing is set in stone. I do believe that it is essential to have a written document, even for a documentary, so that you know what the story is and how it in an ideal world would play out. But things change and as a film maker you do need to be adaptable, especially if you are working on a slim budget. The first day of shooting a new project is definitely a day to celebrate. It means you have truly started and if you stick to your guns, it should mean you will one day finish and have something to show for all the hard work put in. So this week the camera began to roll. (Digital cameras do not physically ‘roll’ any more, they store their images to a media stick. It is called the tapeless system and makes life so much easier. We don’t use celluloid either, but that doesn’t stop us calling our productions a ‘film’). My script calls for a number of interviews with various people connected to the canal world and I started with the chairman of the Shrewsbury and Newport Canal Trust, Bernie Jones. He very kindly has been helping to organise numerous people, locations and sets ups for the documentary, but most importantly, he is a key speaker in the film with his connection and enthusiasm for the abandoned waterway that is the main focus of my video. Wappenshall Junction, an important stage along the abandoned canal. I met Bernie at his house in Withington in Shropshire and followed him by car to a place called Wappenshall Junction. This site now consists of a couple of derelict buildings, a traditional hump back bridge and partly filled in canal bed. It was, as the archive photograph demonstrates, a busy wharf along the original route from the country town of Shropshire to Newport and Norbury where the navigation once joined the rest of the UK’s canal network. I filmed a few cutaways of the red brick Georgian Buildings that once house the paymasters office, the loading and storage area and stables for the ‘fly’ service. The windows had been smashed by the local scallywags, the doors old and decade and some of the floorboards on the inside dangerously rotted and quite risky to walk on. After this, I positioned Bernie in front of the iconic canal bridge, set up the camera and miked him for sound. The camera was then set to record. I wanted to know, what were the plans for Wappenshall and what was its significance in the heady days of the canal. Bernie, along with the other dedicated members of the trust had it all worked out. They had a step by step plan to raise the funding required, detailed plans to restore the waterway and open it up to the public and the boating community. Of course, this is no where near as easy or as simple as I make it sound and I do hope to high light the some of the issues within the film. Alas, I haven’t the space to go into it here, but it is an exciting project. As Bernie said, a part from the rather hideous and not altogether coherent new town of Telford and a statue of its namesake plonked almost anonymously somewhere within it, there is no where in the locality that people can go to pay homage to the great man of architecture, design and civil engineering. Thomas Telford did so much for Shropshire in late 18th Century. His handy work is all over the county and surrounding area, including the great aqueduct at Llangollen in Wales and the major improvement and surveying of what we refer to as the A5, but in its day was simply known as the London to Holyhead road, the great coaching route famed for its connection to Ireland. Telford also designed one of the buildings at Wappingshall Junction, had a hand in the the oldest surviving iron aqueduct in the world, which just so happens to be along the route of the Shrewsbury Canal and insured the navigation was completed when it linked up to Newport and Norbury Junction. 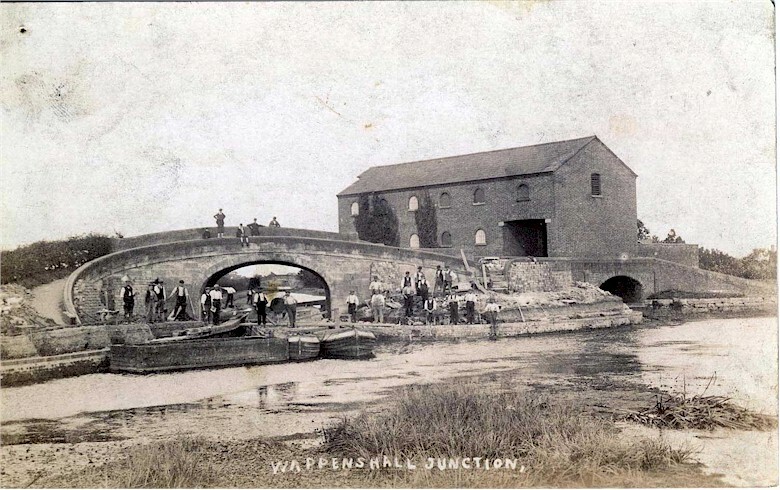 The S&N Canal Trust wants to make Wappenshall Junction a visitors centre, with interpretation boards and a place to find out more about the great man. 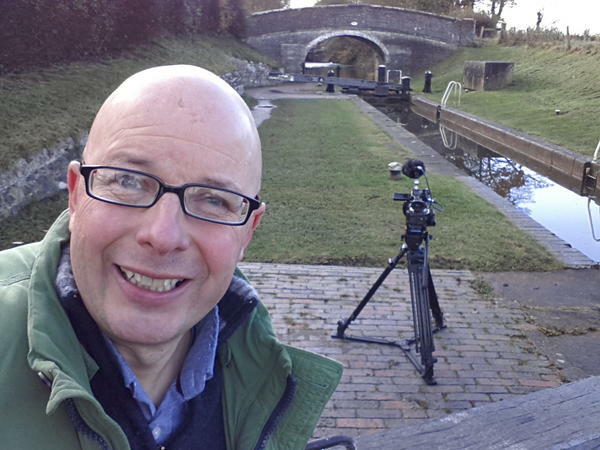 The story of the canal is without doubt a fascinating one and I hope I can do it justice as I continue with the filming of the documentary for the next episode of the Bald Explorer.